Excitement is bigger than ever for Kyary Pamyu Pamyu in 2018 who is set to release her new digital single Kimino Mikata on April 11th and embark on her 4th world tour. 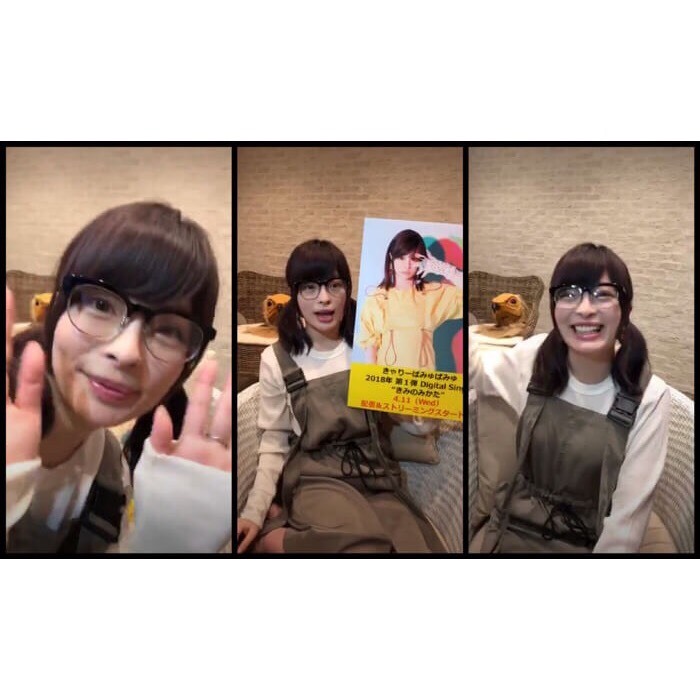 Just recently, Kyary gave fans an early listen to her new song Kimino Mikata in an Instagram live session she herself organized – and it was a huge success. 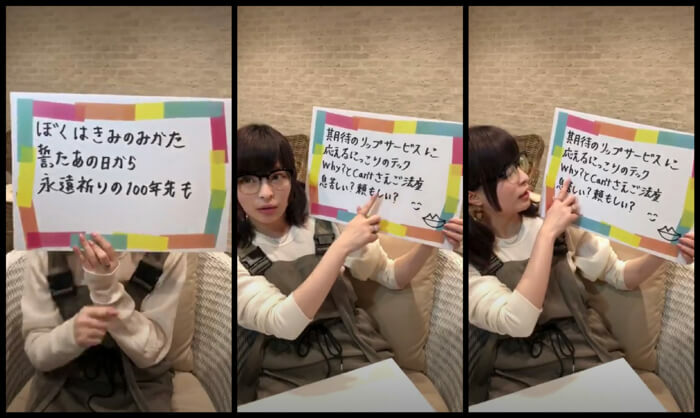 Kyary gave thorough commentary into the new song and flipped through the lyrics on sheets she wrote herself. Her producer Yasutaka Nakata wrote the chorus lyrics boku wa kimi no mikata / hakanai kibou ka / shinjiteminai to sutaato janai (“I’m your ally / Is it a fleeting wish? / There’s no beginning if you don’t try to believe”). Kyary expressed strong empathy towards the lyrics: “I really think that [there’s no beginning if you don’t try to believe]. If you don’t live your life believing in people, then it’s no fun. 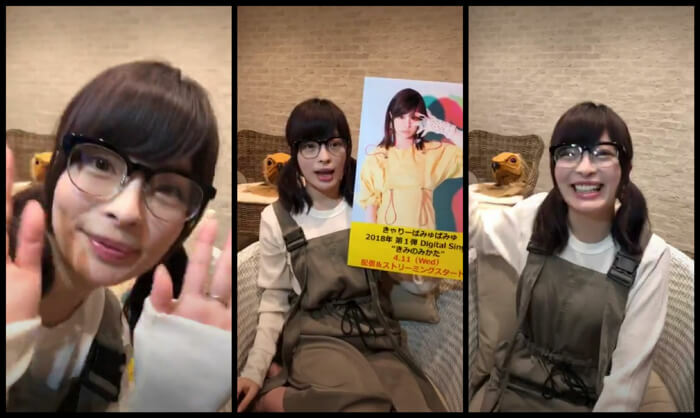 I think it’s important to try believing, and that will equal the start of something.” Kyary also performed her first ever rap part to the tune of karaoke before the stream came to a close. Finally, Kyary Pamyu Pamyu‘s song Fashion Monster was recently used in a TV commercial for Nissin Soba U.F.O. that’s hot right now featuring rock god Yuya Uchida. 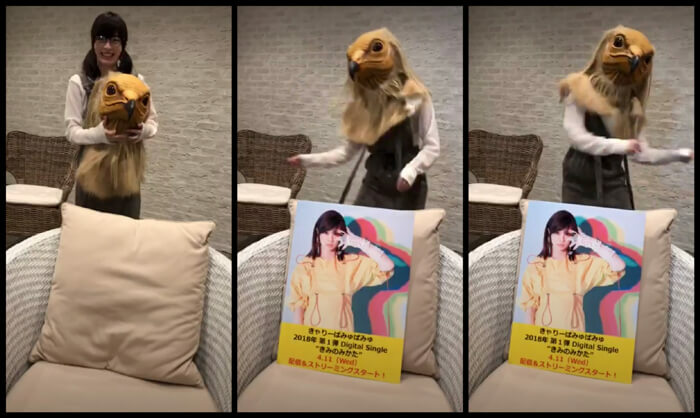 A band of vultures appear in the video, and Kyary dressed up on stream as one of them will dancing to Kimino Mikata. Pre-orders for Kyary Pamyu Pamyu‘s new song Kimino Mikata are now open on the iTunes Store. There’s also a campaign being held where you can purchase her greatest hits album KPP BEST for just ￥900. This offer is available for one month only, so check it out together with her new single. Stay tuned for the latest news on Kyary Pamyu Pamyu as she storms ahead with new work into 2018.